I love the Olympics. Having competed on the track team in college, I’m a bit partial to the Summer Games, especially track and field. The Winter Games, however, were my first love. I was captivated by Dorothy Hamill skating in her red dress with that sassy haircut and decided right there and then that I would be a future Olympic gold medal figure skater. Things didn’t quite work out as planned. Still, I stay up late every night for the two weeks of the Olympics watching every minute that I can. Given my Olympics obsession, it seemed appropriate that I was traveling to Salt Lake City, the most recent US Winter Olympics host city, right in the middle of the 2018 Winter Games. The Salt Lake City airport seemed unusually busy for a Wednesday morning. As I made my way through the crowds, I noticed that lots of people seemed to be struggling with oversized baggage. I finally came to the rather obvious realization that those big bags were skis. The Salt Lake area had just gotten their first good snowfall of the season, and the serious skiers were here chasing the fresh powder. Once I got outside the airport, it was easy to see why this is such a popular destination for skiers. The mountains seem to surround the city, thanks to two major ranges, one to the east and the other to the southwest, and a third smaller range to the south that nearly connects them all. Several popular ski resorts are nearby, including Snowbird, Alta, Brighton, Solitude, Park City, and Deer Valley. My first stop was Schow’s NationaLease, where I met with Mike Rawlins. It was exciting to learn more about the new and innovative ideas they are implementing into their business. They are embracing technology and data and using it to help their customers achieve their goals. While I was there, I also had the chance to say hello to Kreg Schow and meet one of the newest members of the team, Jake Richardson. As much as I enjoyed talking to Mike, it was hard not to be distracted by the spectacular view of Farnsworth Peak right out his office window. 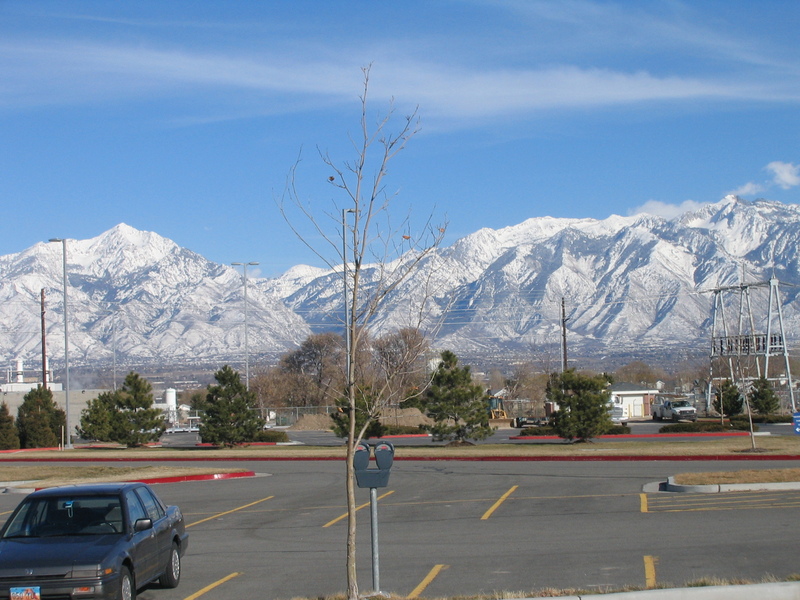 From Schow’s I drove north, with the Great Salt Lake to my left and the Wasatch mountains to my right, to Ogden, Utah, where I met with the folks from Trans Fleet Services, LLC, a NationaLease Member. I sat down with Roger Dalling, Brent Maxwell, Matt Hashimoto, and Denis Bernhardt to discuss our supplier programs. 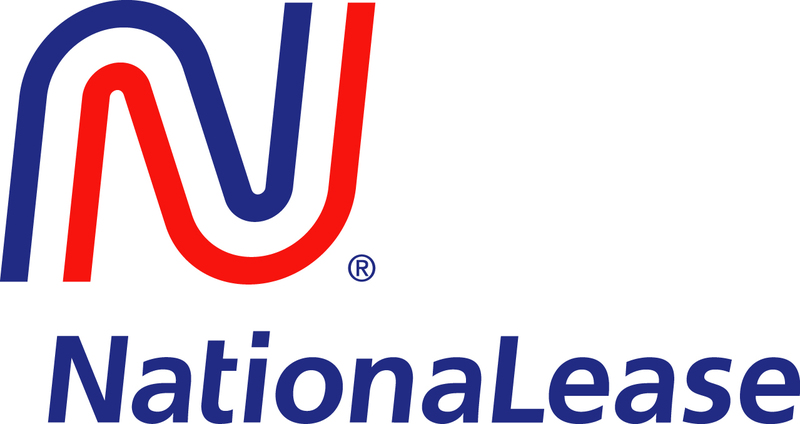 NationaLease is fortunate to have partnerships with so many great suppliers to help our members and their customers save money. We also receive tremendous support from the suppliers in training, resources, and participation at our events. Many of our supplier partners will be showcased at our upcoming Maintenance Managers Meeting in Charlotte in May. 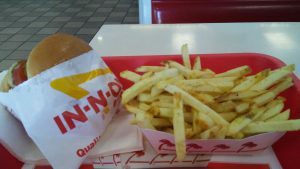 If you have read any of my previous blogs, you may remember that I am a devoted fan of In-N-Out Burger. Any time I travel west, I keep an eye out for that red and yellow sign. I had spotted one just off the highway on my way to Ogden, so I had already made up my mind to stop on my way back. The Double-Double Animal Style with a side of fries was just as good as I remembered it. It’s a really good thing that I don’t live in a place where I have access to an In-N-Out Burger every day! Tired from a very early morning, I found my hotel, plugged in my computer and turned on the TV. My favorite time of day (at least for two weeks every two years) was quickly approaching—Olympics coverage in prime time. And what a night it was! It started with what has become my favorite moment of the entire Olympics: Jessie Diggins crossing the finish line in first place to bring home the first-ever gold medal for the US in cross-country skiing. I watched the US women’s bobsled team win a silver, and the US men’s ski halfpipe take the top 2 spots on the podium. The exclamation point on an already awesome night was the US women’s hockey team winning the gold medal (sorry, my Canadian friends). Competition is at the heart of so many human endeavors. Both in sports and in business, it is so much sweeter to be on the winning side than the losing side. In sports and in business, we can also see both good and bad examples of competition. It seems every recent Olympics has been plagued with a doping scandal, and this one was no exception. Some athletes are willing to do anything, even cheat, in order to win. In stark contrast, we have examples of the very best kind of competition, like the pure joy of 17-year-old snowboard gold medalist, Chloe Kim, taking a last run down the halfpipe even though she had already claimed the gold medal, just because she wanted to try to beat her own best score. My own best memories from my years of running are not the races I won easily, but the ones in which I ran my personal best times, spurred on by worthy competitors. In business, I am daily surrounded by examples of the best kind of competition. NationaLease is made up of nearly 150 independent businesses, all of whom are fierce competitors. Sometimes, they even compete against each other; yet they work together like teammates in a sport such as skiing or bobsledding. After Lindsey Vonn completed her run down the mountain, one of the first things she did was radio up to the top of the mountain to share critical course information with other members of the team. 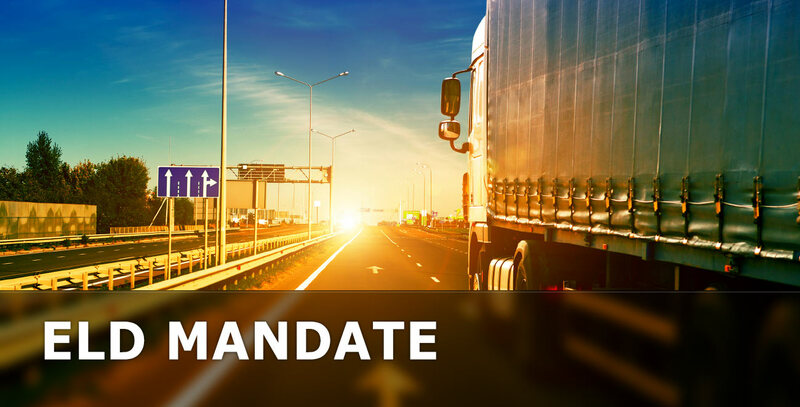 NationaLease members similarly share best practices, repair each other’s trucks over the road, and provide a unified network to best serve all their customers. As they each strive to be the best, they raise the bar for everyone, and their customers are the winners. That’s what competition is all about. I just wish I could give each of them a gold medal.